[Web Wrap]: The Rise of an Armenian-Canadian Producer. Neil Martirossian’s profile of Armenian-Canadian filmmaker Juliette Hagopian. 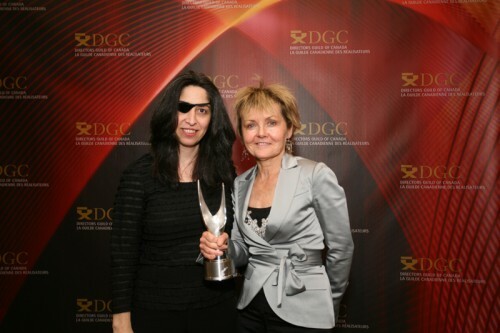 My personal curiosity for Armenian professionals in the entertainment industry led me to the discovery of Juliette Hagopian. Her name first caught my eye when I was watching a movie titled Too Late to Say Goodbye on Lifetime Movie Network, on which she served as producer. “She must be Armenian,” I said to myself before I worked to track her down. [Web Wrap]: Thumbs Up Year for Film: Cinema Center Director Says 2010 a Success. Good stuff this year. Get ready for even more in 2011. 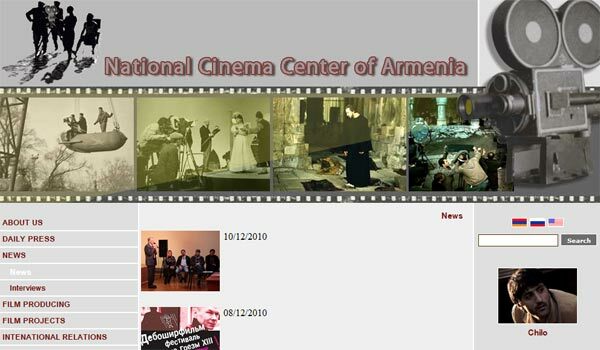 The director of the National Cinema Center of Armenia says 2010 has been a success for “the preservation and spreading of national cinematography”. Meeting with journalists Thursday Gevorg Gevorgyan cited Armenia’s participation in international film festivals and said the center had provided funding this year for 12 films which should be debuted in 2011. In 2010, the center also supported the production of five debut, four student and four children’s films. Five animations were also financed this year. [Web Wrap]: Photographing the Diaspora. Brooklyn-based photojournalist Scout Tufankjian is looking for volunteers for her Armenian Diaspora Project, which captures the life of Armenians across the Diaspora. Willing participants can contact her through the link below. With 8 million Armenians living in over 85 countries across the globe, the Armenian community is one of the world’s great diasporas. Over the past three thousand years, waves of migrants left their ancestral home, following ancient trade and pilgrimage routes and fleeing massacres and genocide, economic deprivation, revolution and civil wars, and settling into their new homes in Europe, the Americas, Africa, Asia, and the Middle East. Sao Jorge in Sao Paulo.